​Defender James Collins physically tore up his contract with Aston Villa after suffering an injury just hours after agreeing to join the club. 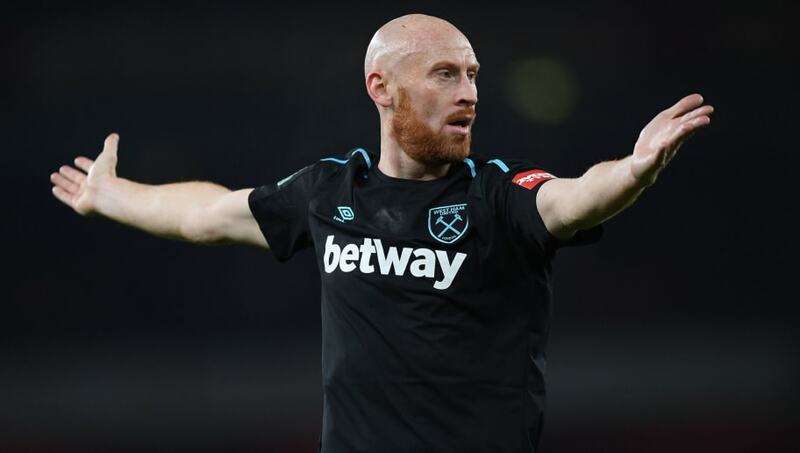 The 35-year-old has been without a club since leaving West Ham United during the summer, but has been training with Championship side Aston Villa in a bid to earn himself a new contract, even impressing in a friendly against Yeovil Town. The Daily Mirror reveal that Collins signed a short-term £10,000-a-week contract with Villa. However, he then almost immediately suffered a calf injury during training, and returned inside to rip up his new contract. ​Villa officials are said to be incredibly impressed with his refusal to be paid while injured, and the report states that he will be given the chance to earn a new contract when he returns to fitness in 2019. The club have just two recognised centre-backs in the first-team, with James Chester and ​Manchester United loanee Axel Tuanzebe featuring heavily this season. Midfielder Mile Jedinak has also been used as a defender, and the hope was that Collins would add some much-needed cover in the position. Villa do still have Micah Richards at the club, but the 30-year-old was banished from the first-team by former boss Steve Bruce as he struggled with fitness and injuries. Richards' only inclusion in a matchday squad last season came in a Carabao Cup defeat to ​Middlesbrough in September 2017, when Richards was an unused substitute. His last competitive appearance for the club came in October 2016, with a serious knee injury sidelining him for the majority of the season.